This year the March Equinox is March 20th, 2018 at 12:15pm EDT. There are two Equinoxes each year – one in September and one in March. The March Equinox is the day of the year where the sun shines directly on the equator as it moves to shine on the northern hemisphere for the summer. On this day, the length of the day is nearly equal to the length of the night. Besides March 20th being the Equinox, it’s also the time of year that the gardeners are itching to get out and into the yard. In fact, if you’re a fanatical gardener, you’re probably already out in the green house aka the garage tinkering with seeds, soil and saplings that you’ve been nurturing all winter long. You’ve pulled out your workspace so you can work with your potting soil and get those seeds planted so your saplings will be ready. 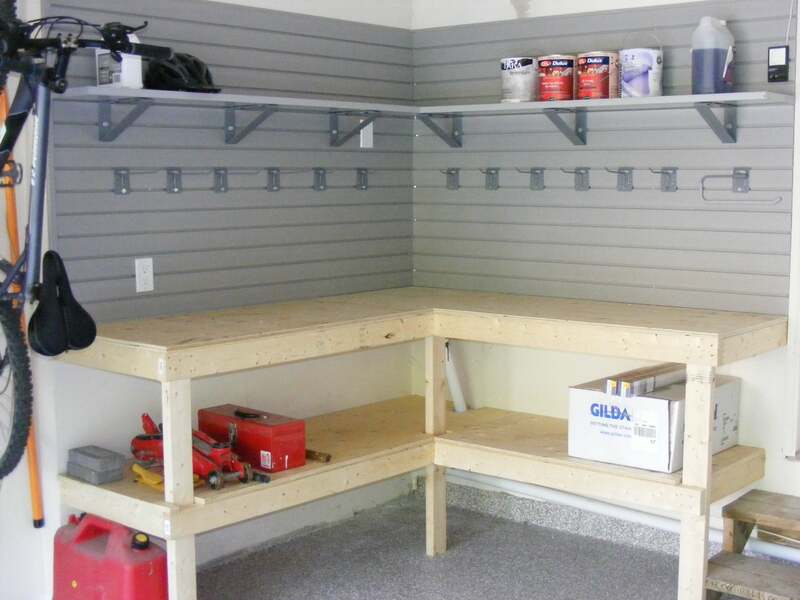 In the larger garages with fewer storage requirements, you may actually have the back corner of the garage available for an L-shaped workbench made to measure. If you’ve gone with garage cabinets, you may have opted for the workbench option which is built-in with drawers or cabinets below the workspace. 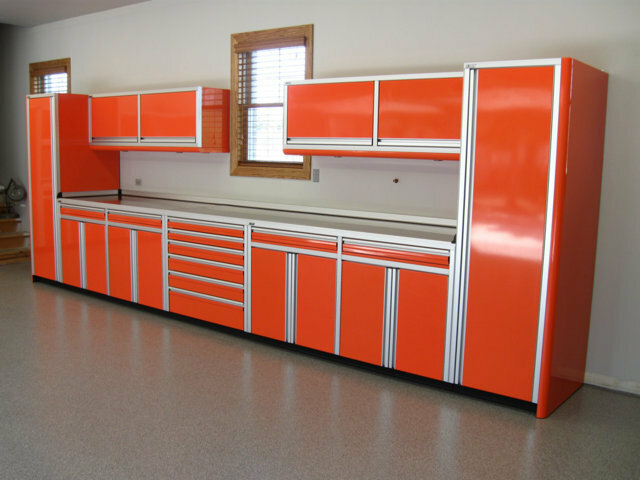 A stainless steel work surface is typical of the workbench option with garage cabinet storage systems today. Now, if space is at a premium in the garage for whatever reason, a made to measure fold down workspace which folds out from the wall and then tucks away when you’re done is one way to build a working area into the garage. Another space saver is a roll out workbench which can be tucked under a storage platform until it’s needed and then stored under the platform when you’re done working. Not only are all of these workbench / workspace options available for the gardener but also the handy person of the house, the auto enthusiast and the arts & crafts enthusiast. What makes it complete is a space for all the gardening tools. If you already have a slatwall organization system then you’re probably already using it for winter shovels, ice scrapers, snow blowers, salt and much more to survive the icy, snowing and sometimes wet winter weather. But, once March Equinox comes around, the gardener of the family might just get the itch to switch all of those tools out for trowels, hoes, garden shovels, rakes and much more. 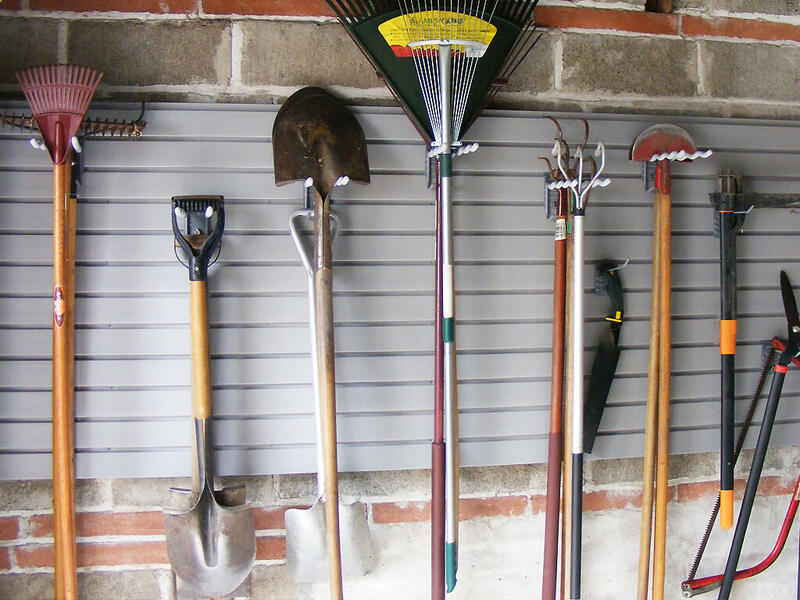 With the StoreWall slatwall organization system, the materials are so durable and modular that swapping out winter tools for garden tools is easy to do. The weatherproof commercial grade thermoplastic means that the slatwall will remain mold and mildew free. Water and ice will not cause the wall to wear or crack. Then, with a wide variety of accessory hooks, shelves and baskets, the slatwall becomes invaluable for storing everything the gardener needs. 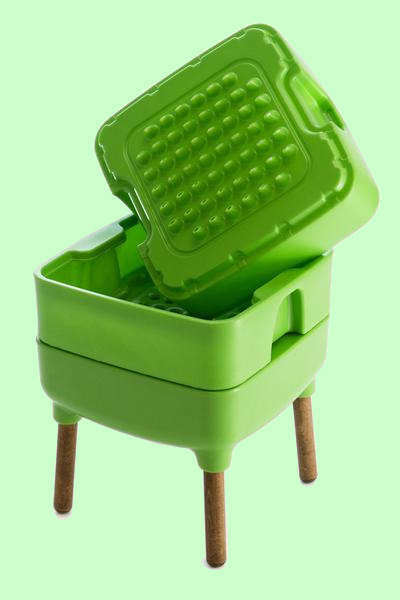 There are modular baskets or shelves to store fertilizer, soil, wood chips and seeds. And, there are numerous types of large and small hooks secured with CamlokTM technology so that the hooks won’t slip or slide. 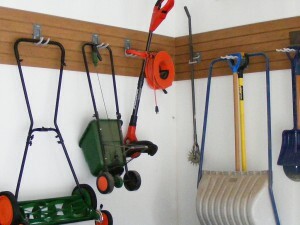 In fact, with the hooks locked into place, they are strong enough to hang the typical lawn mower so the average garden tools will not pose a problem for the StoreWall slatwall system. During the off season, the gardening tools can be stored out of reach on the overhead platform or shelf. Since they don’t need to be easily accessible during the winter, it makes sense to store them up and out of the way. Switching them out for winter shovels and other tools needed to weather the ice and snow makes sense. Now that the March Equinox has arrived, the avid gardener will be anxious to pull out the gardening tools and store the winter tools away onto the overhead shelving. 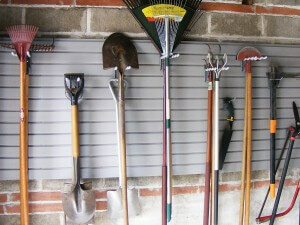 Re-arranging the hooks and shelves on the slatwall makes it possible to accommodate the various shapes and sizes of the garden tools which would not necessarily match the configuration needed to hang the winter shovels and tools. The average person may not be thinking worm composting but the gardener who’s thinking green and wanting to have some rich organic fertilizer to work with as early in the season as possible may be adding vermicomposters to the storage area in the garage where the blue bin, green bin and garbage bins are located. Vermicomposters take the organic wastes such as orange peels, coffee grounds, egg shells and much more to get worms living in the composter to turn our organic wastes into fertilizer. All winter while we’ve been eating, the gardener in the family has been dumping all that organic waste into the vermicomposter for fresh fertilizer to use as soon as the March Equinox is in sight. A variety of options for dedicating a space for compost, green bin, blue bin and garbage are available including platforms, shelves, cabinets and hooks. Regardless of what makes your family members passionate for the weekends, a good garage renovation solution will accommodate outdoor adventurers to athletes to car enthusiasts to avid gardeners and so much more. 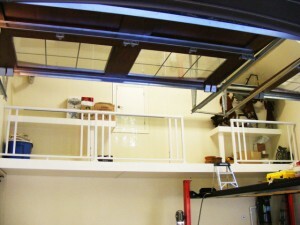 Consult with one of our garage renovation specialists today to find out how your garage can fit all these lifestyles. The garage has become a dumping ground for your family’s stuff. It’s taking over the garage floor and it’s becoming ever more difficult to park the vehicles with belongings littering the space. Now is the time to start planning and preparing a garage renovation. Start by clearing out the clutter. As spring approaches, it’s a great time to hold a garage sale and clear out equipment or tools you haven’t used for a couple of seasons or toys the kids have outgrown by paying it forward to another family in the neighbourhood. Having a garage sale is a great way to set a deadline for everyone to get things cleared out. By getting the entire family involved in the process, it becomes a learning experience in decluttering and organizing habits which will carry through a lifetime. Start by throwing out anything that is broken. From there, if you have duplicate items, move them to your garage sale items. Decorative items that we don’t love are ideal for the garage sale. If you’re just holding on for some day, then take courage and put it with the other garage sale items. If it is clothing that you haven’t worn for a year, the guideline is that you probably won’t be wearing it again. So, take courage and include it with the garage sale items. 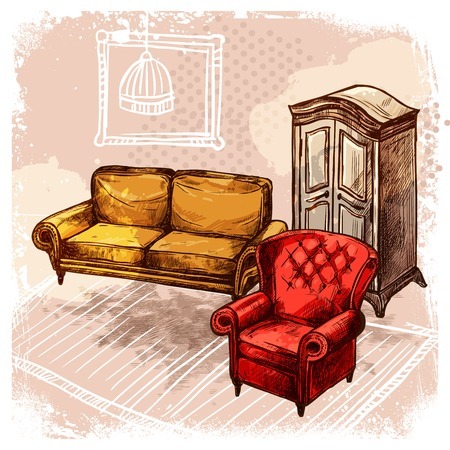 Finally, all belongings require upkeep so if you’re not willing to dust and clean it regularly, consider it another item for the garage sale. For some people, decluttering may be more psychologically difficult than it is physically difficult to do. Letting go of items will improve the well-being of your family. Whether you decide to run a garage sale or not, whatever is collected or left behind from the garage sale can be donated. Anything from clothing, furniture, small appliances, old renovation items like insulation and even an old clunker which may still be sitting in your driveway can be donated. In Canada, there are some great ways to donate your belongings. In the Greater Toronto Area, there are many drop off locations for donations of clothing, furniture and old renovation items. In some cases, there are ways to get your donations picked up free or for a small fee. Depending on the items, sometimes you may get a donation receipts for your items. 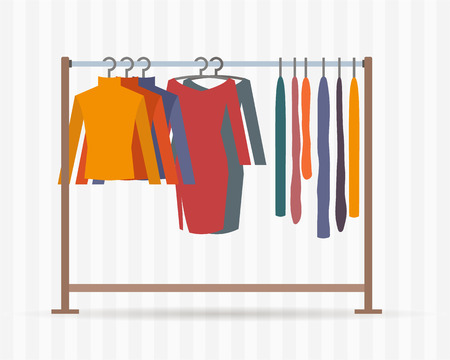 You can donate to specific charities or choose a thrift shop near you. For instance, Diabetes Canada (formerly Canadian Diabetes Association before February 13, 2017) will accept: gently used clothing, bedding, sleeping bags, blankets, footwear and small household items such as kitchenware, pots & pans, tools, blenders, etc. They’ll also accept small electronics such as cell phones, laptops, tablets, iPods, digital cameras, gaming consoles, PDAs. 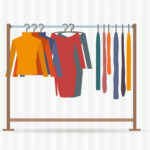 Visit http://www.diabetes.ca/how-you-can-help/clothesline to book a pick up. 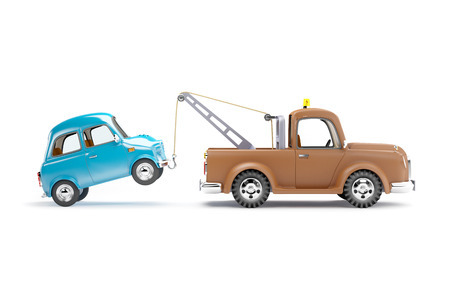 If you’ve got an old clunker which needs to go to Car Heaven, they will tow it ($200 value) for no charge and give you a $100 donation receipt to one of the charities featured to promote health, protect the environment or inspire communities. The furniture bank works with social agencies which need furniture for shelters, refugee programs as well as homeless & poverty programs. For a listing of agencies they service, visit http://www.furniturebank.org/programs-services/partner-agencies/. Donate by dropping off items to a Habitat ReStore nearest you. They accept all sorts of renovation items from flooring, windows, doors, kitchen cabinets, sinks, counter tops, hardware, tools, building materials, garden tools, fridges, stoves, microwaves and more. They also have multi-item pick up services and de-construction services to remove kitchen cabinets and bathroom fixtures. Submit your ReStore Donation Form here. 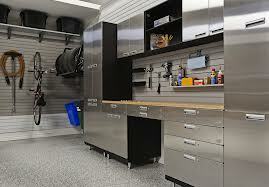 Now that you`ve decluttered, the remaining items will need to be organized back into the garage. Organize the remaining belongings into groups. Typical groups include sports equipment and camping gear, bicycles, seasonal decorations, household supplies, workshop tools, gardening tools, automotive accessories, recycle and trash bins. You may have some additional categories unique to your lifestyle. Many people who have home businesses may find that they need to find appropriate storage space for their working tools and supplies so plan this category of items into your overall garage renovation plan. Once there are categories of items, it makes it much easier to understand what needs to be organized and stored in the garage. Next, the question becomes whether you do it for yourself or you get someone to do it for you. You might have a handyman in your family. Maybe, they are not adequately skilled. Or, they are abundantly skilled but just don’t have the time to get it done in a timely manner. It`s may be time to consider booking a complimentary in-home consultation with one of our garage renovation specialists. If you’re on the fence as to whether you’re ready and prepared to do your own garage renovation, then, read my upcoming blog on “Garage Renovation & Design: DIY or Do It For Me”. You’ll gain some insights as to whether you are able to handle the garage renovation as a DIY or DIFM project. Several items are commonly stored in garages: gardening tools, automotive supplies and winter weather accessories. Yet, the configuration of your garage, the space available therein and the items you store there are unique to your individual lifestyle. 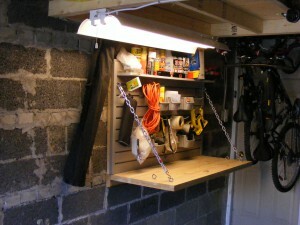 Let’s explore two common issues that frequently create a storage challenge in garages. Inefficient use of available space. 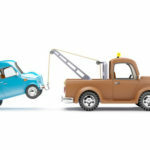 In this post, we’ll address the last two issues: storing oversized items and making efficient use of available space, since these two issues are frequently connected. Is the storage of winter tires, kayaks, building materials or other bulky, oversized items preventing you from parking in your garage? If so, you’re not alone. Whether you have a small, one-car garage or a large three-car one, your garage contains a finite amount of space. Yet, as the years go by, we continue to acquire what feels like an infinite amount of goods; most of which, ends up vying for space in the garage. 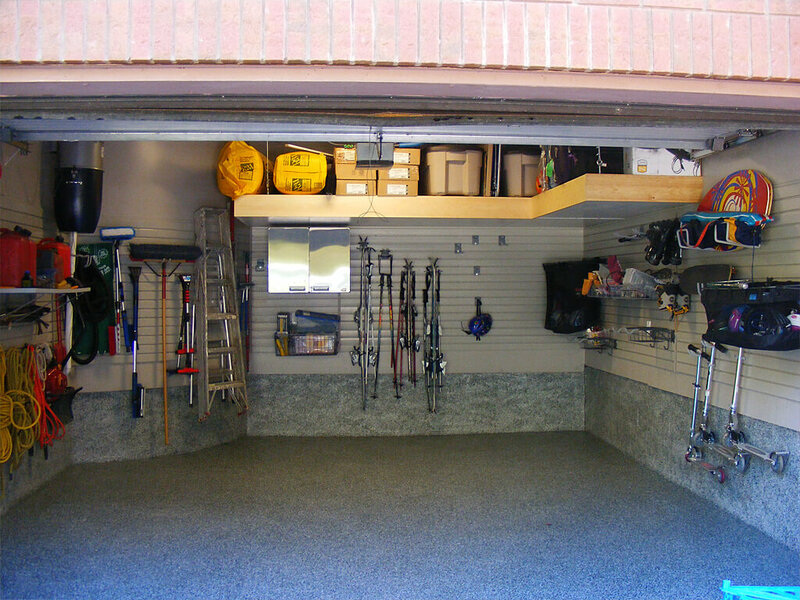 Periodically, it’s a good idea to assess what’s in your garage and eliminate unnecessary items. 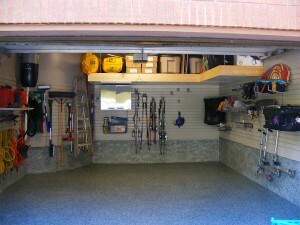 Purging your garage of unneeded items frees up valuable storage space. 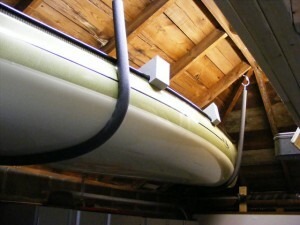 Still, the unusual size and bulky nature of items like canoes or leftover house siding make it difficult to store them in the garage without impeding the car’s entry. What’s a frustrated homeowner to do? Is your garage saddled with “unusable” spaces like high ceilings or oddly-shaped corners? Is your central vacuum sitting smack in the middle of a wall where you’d like to install a bank of cabinets? These types of situations create storage challenges that homeowners find extremely frustrating. Custom-built overhead platforms – Looking for a solution to the dilemma of what to do with oversized items? Just look up. Many garages have open space overhead that seems “unusable.” However, a custom-built, overhead platform creates the perfect place to store items that aren’t frequently used. 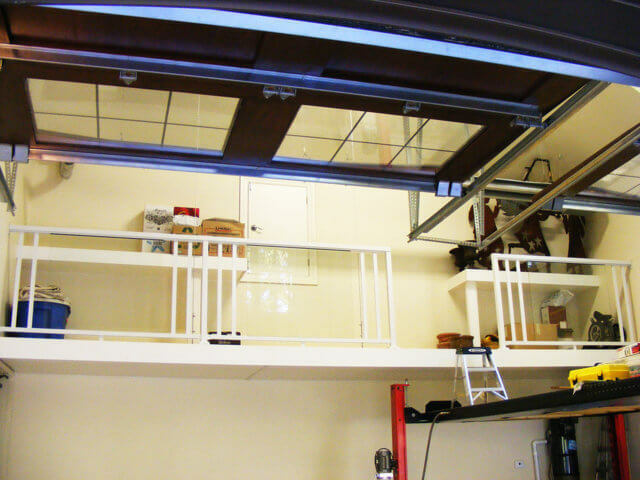 If the garage ceiling is high enough, a full mezzanine can be built across the back wall of the garage which allows for another level of storage and workspace. Custom-built or customizable cabinetry – Perhaps you’d like to install cabinets along the back wall of your garage, but a recessed or curved wall makes it difficult? Nuvo Garage has met this challenge by either custom-building cabinetry designed to fit that unique space or by installing cabinetry with customizable design options. A poorly located central vacuum can either be relocated or hidden inside of a cabinet. The final result is aesthetically-pleasing cabinets that have nice, clean lines, even when the walls behind them don’t. Custom-built slings – Canoes and rooftop sports equipment carriers for your vehicle provide an additional challenge. 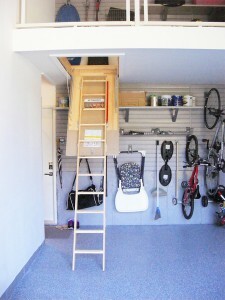 An overhead platform would provide storage space. However, the item would be difficult to access. 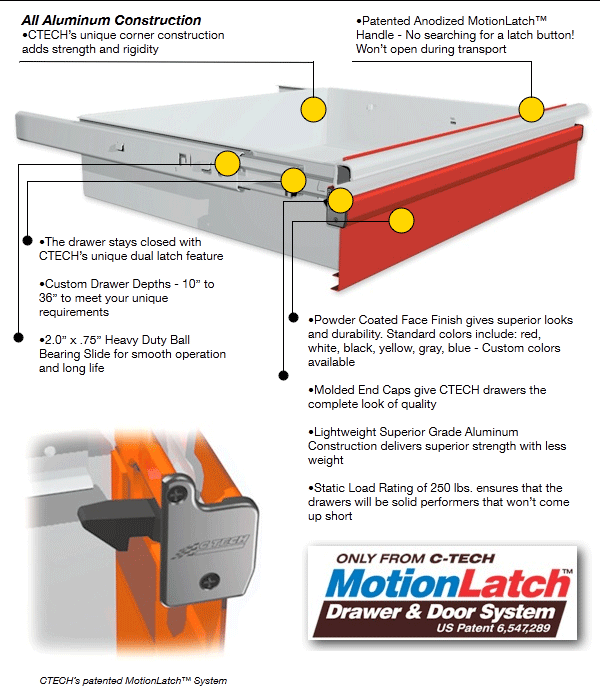 A better option is a custom-built, overhead storage sling. Sturdy chains are used to provide maximum holding power. In the case of a canoe sling, the chains are covered to protect the finish of the canoe as it is lowered or hoisted into place overhead. Other custom-built options – In a small, tight garage it’s nearly impossible to add a traditional workbench. However, a custom-built workbench that is tucked in an otherwise unusable corner or that folds up against the wall when not in use fits perfectly in a limited space. There are many creative storage solutions available. However, it can be difficult to visualize how those solutions might work in your space. In the next post, we’ll explore specific storage challenges and examine the creative solutions used to resolve them. 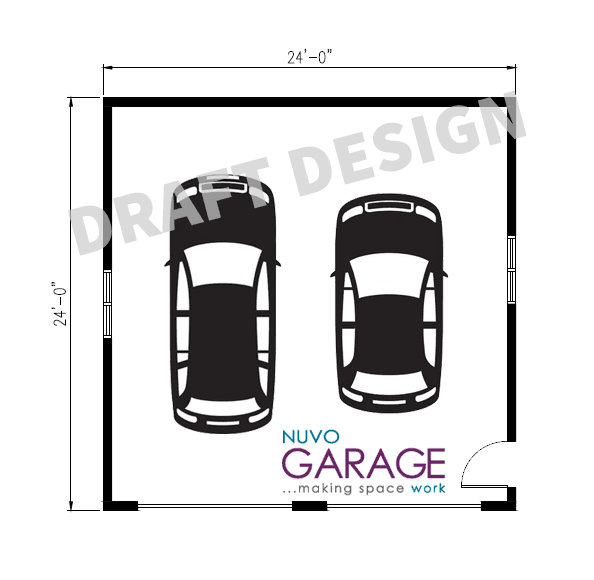 Want to see how Nuvo Garage can fix your garage storage dilemma? Request your consultation today. Should I Hire a Professional Garage Designer or Do It Myself? Home and garage renovation projects can be fun. For anyone inclined to try his or her hand at it, there’s no shortage of DIY books and television shows to help. Completing a renovation project yourself can offer a potential savings. However, it doesn’t always work out that way. The value of expertise and experience. We can learn a lot from a half-hour television show or a how-to book. However, neither is a substitute for an experienced professional on-site. The project always takes longer than expected. Ever planned a quick weekend project that ended up taking a month of weekends to complete? Time is your most valuable asset; the only one which can never be replaced. Make sure the trade-off is worthwhile. The cost of specialized tools. 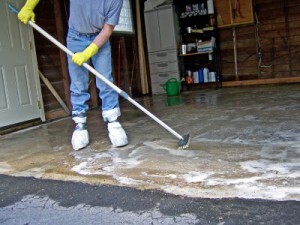 Many garage renovation projects, like applying polyaspartic flooring, require expensive, specialized tools. Purchasing such an item can wipe out the savings you hoped to achieve while leaving you with a tool you won’t likely use again. The cost of fixing mistakes. Remember those episodes of The Cosby Show where Cliff would try to fix something and inevitably make it worse? He’d eventually have to call a plumber in to fix it. In the end, it cost more than if he’d let the plumber do it in the first place. 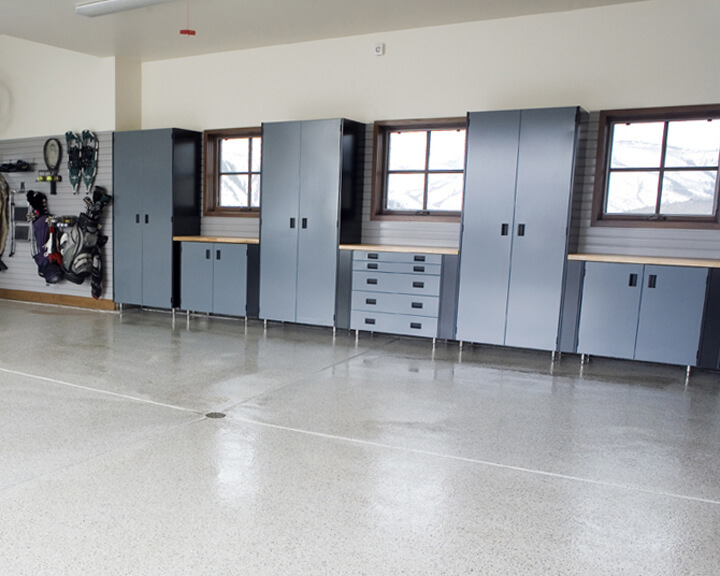 When flooring, cabinetry and other garage projects go wrong, it can be quite costly. Renovating the garage yourself seems simple enough, but doing it wrong can cost a lot more time and money than you ever imagined. An experienced, professional garage designer will get the project done right, in less time, and offer exciting new possibilities. Garage renovations pose unique challenges. While every garage is different, the extensive knowledge and experience that a professional designer brings to the project provides a distinct advantage. A pro designer is current on construction codes, understands how garages are constructed and is familiar with the latest garage storage and décor products and materials. Additionally, the experience of working on a variety of garage design projects gives a pro designer an extensive knowledge base from which to draw when planning and completing your renovation project. Garages offer limited floor space. Then there are odd spaces that homeowners never quite know how to use. With a growing number of possessions and limited space in which to store them, it can be difficult to envision how to get all of your things in your garage along with your vehicles. However, a professional garage designer can see the potential in your space and offer innovative solutions like slatwall, movable shelving and overhead storage to maximize available space. 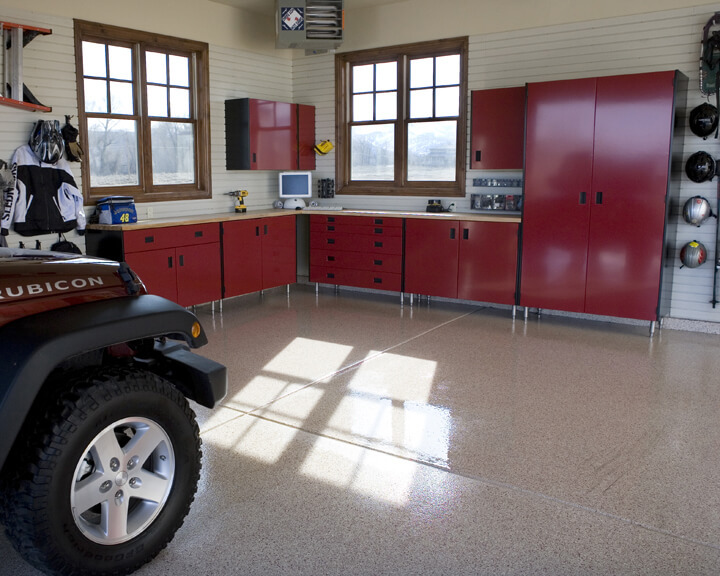 Garage design professionals know how to use available space efficiently while also following fundamental design and engineering principles. Therefore, the proposed renovation will fit your lifestyle while resolving perplexing design issues, like what to do with an odd corner space. Custom-designed overhead shelving and other storage structures will be well-made and safely installed. 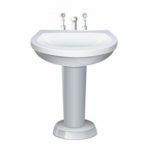 The selection of colours and finishes will truly enhance the space. Turning a chaotic garage into an organized space that houses your car and all of your belongings can be a challenge. Doing it yourself might seem like the cheapest solution, but DIY garage reno projects can quickly go awry. A knowledgeable, experienced professional garage designer can maximize your space so that it’s organized, functional and safe for many years to come. 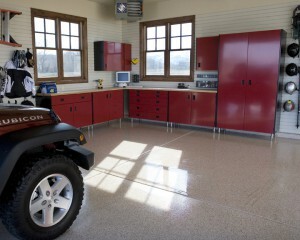 Interested in what a professional garage designer can do for your space? Request a consultation. Any home renovation, no matter how big or small, requires a myriad of decisions. A great way to ease your mind is to hire a professional with specialized expertise. 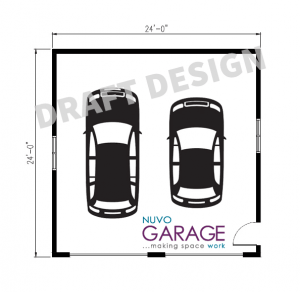 At Nuvo Garage, we’re experts in garage renovations that provide efficient organization, innovative storage and also look terrific. One of the main components of a successful garage transformation is the cabinetry so to that end, we only use products and suppliers with a great track record. Last month, I talked about the family-owned Hercke cabinets and garage organization systems and next month, I’ll be discussing Ctech, a very sleek, high-tech system popular with high-performance car aficionados. The focus this time is Onex™, a sturdy, mid-range system constructed from steel that’s completely customizable and the ideal garage storage system for design conscious homeowners. 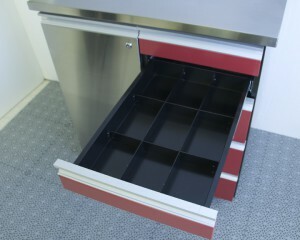 One of the most appealing features of Onex High Performance Steel cabinets is the expansive range of colours. The company offers 21 different colours that are easily coordinated with your car, mudroom or to complement the wall paint and floor. The Onex catalogue boasts 50 different cabinet options that can be configured in a wide range of ways to maximize the space and storage capacity in any garage. 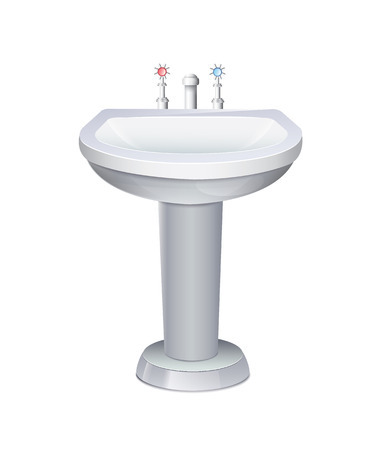 This includes base and wall cabinets, tall floor cabinets, tables and suspended cabinets. C onstructed from cold-rolled steel, the components have a barrier coating against moisture and corrosion, an ideal feature given the swings in the Canadian climate and our extremely cold winters and humid summers. Additionally, the customized colour coatings are produced on a thermosetting powder-coating system, a high temperature process, which irreversible cures polymers ensuring a high-quality finish with excellent scratch and chemical resistance. This finish is an important feature given the sometimes rough and tumble uses of your garage and means that the cabinets will look great for a very long time. Another notable feature of Onex components is their consistency. The company is registered under the Switzerland-based ISO standard (International Organization for Standardization). ISO is a quality management system that measures the ongoing performance of products. When we take on a garage transformation, we like to work from the outside in and blend the look so that it’s an extension of the house. Some clients like a serene, unified look and choose paint colours that blend and disappear. Other clients want something that really stands out and are more drawn to bold, vibrant colours. With the wide selection of colour options and configurations offered for Onex High Performance Steel Cabinets, it’s easy to create the customized garage storage system that suits your specific needs, tastes and style. Fully adaptable and flexible for any surface, the steel cabinets also have optional locks so you can safely secure dangerous chemicals or valuable tools and equipment. Onex can produce a customized storage cabinet solution in about six weeks and Nuvo Garage renovations can be completed in as few as two days to ensure minimal disruption. I’d be happy to come over and give you an estimate.